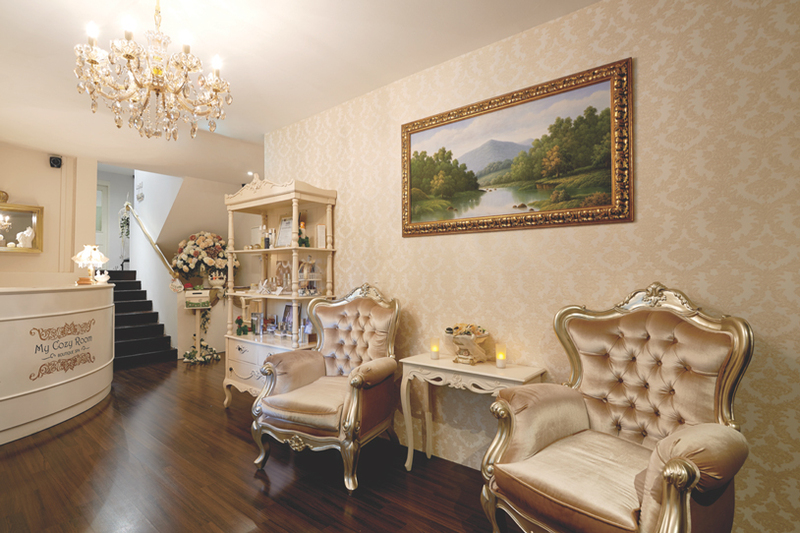 My Cozy Room Boutique Spa is a one-stop haven that offers services to pamper your face, body and nails. Dedicated to giving you a sense of wellbeing, their treatments aim to rejuvenate your mind, body and spirit. Nested a stone's throw away from the hustle and bustle of Orchard Road in a beautiful historical shophouse, My Cozy Room Boutique Spa strives to create a tranquil home spa experience that indulges your senses with the luxurious German skincare brand Babor. Let your body be invigorated through the warm and renewing hands of their therapists. The perfect setting to unwind and relax, make it down to My Cozy Room Boutique Spa to be pampered in absolute privacy and comfort. Beautifully decorated with Art Nouveau furniture and pretty pastes, the aroma of essential oils greets customers as soon as they step into My Cozy Room Boutique Spa, promising a relaxing experience ahead. The spa is located just a few minutes' walk from the bustling Orchard shopping district in a three-storey conservation shophouse along Cairnhill Road.